The labor group Partido Manggagawa (PM) today asked the Department of Labor and Employment (DOLE) if the continuing hemorrhage of jobs at Philippine Airlines (PAL) is in line with the “tuwid na daan” advocacy of the government. PM made the dare as PAL announced yesterday that a mass layoff of 117 employees working at its outlying stations in the provincial airports is to be implemented in November. “We want to know from the DOLE if job outsourcing and the replacement of regular by contractual workers as is happening in PAL is in line with the labor policy and ‘tuwid na daan’ mantra of the Aquino administration. On our part, we believe that contractualization is clearly a ‘baluktot na patakaran’ and contrary to the goal of inclusive growth,” asserted Rene Magtubo, PM national chair. 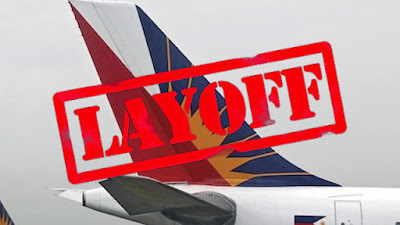 News reports quoted PAL sources as saying that the retrenchment is due to redundancy and a continuation of the controversial outsourcing program started in September 2011. In 2011, more than 2,000 PAL employees were laid off, setting off the biggest labor dispute in the country in recent years. The dispute was resolved when in November 2013 PAL and the ground crew union PALEA signed a settlement agreement that among others provides for the re-employment of some 600 workers who refused to accept the outsourcing program. However, PAL has yet to implement the re-employment provision of the agreement. “In 2011, PAL argued that it was losing money and thus it was necessary to retrench a third of its total workforce that happened to be more than 2/3 of PALEA’s membership and leadership. But at present PAL has a P6.45 billion net income for the first half of the year and is expecting to end the year in the black as it proudly declared in its stockholders meeting last August 27. If it was immoral then to replace regular employees with contractual employees, it is even moreso now when PAL is wallowing in profit,” insisted Magtubo. PM declared its commitment to support the fight of PAL employees for job security and against job contractualization. “Ang laban ng PALEA sa kontraktwalisasyon ay laban ng lahat ng manggagawa,” Magtubo reminded.